The crafty Italian veteran Scoreggia Rascali explodes off the front of the peleton in a daring solo breakaway up Willamette Street. 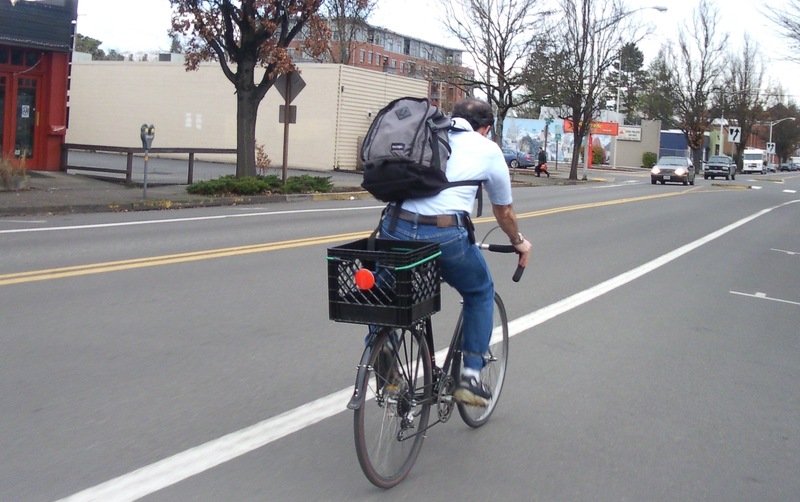 His lead did not last, however, as he pulled into Perugino for a coffee, unburdened himself of his backpack, got to chatting and never actually returned to the race. He thereby took possession of the Hawaiian-print “la dolce vita/stop-and-smell-the-flowers” jersey — the most hotly contested prize in Le Tour de Milk Crate. 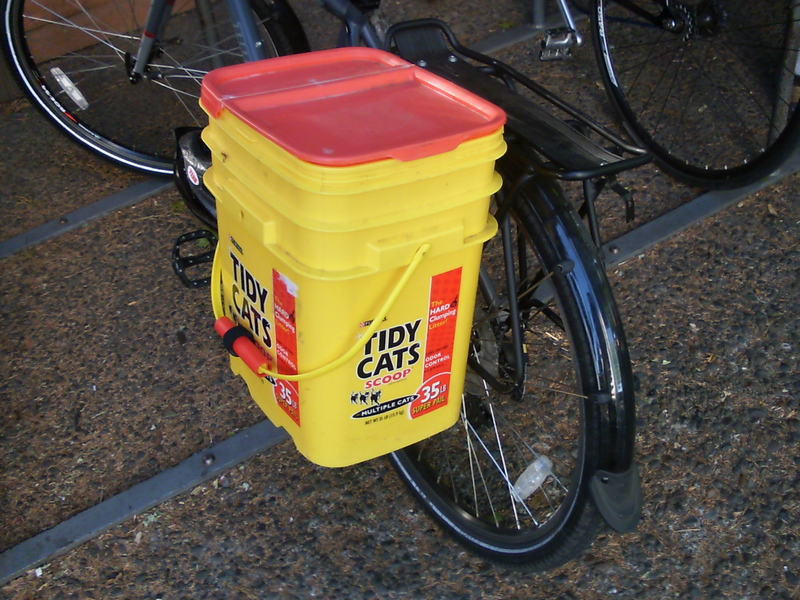 When does le Tour de Kitty Litter Bucket start? A rider competing the asymmetrical category stocks up on provisions at Kiva. You’d be shocked at my photo archives. You might be in there for all I know. I’m thinking I might have a problem.